Mitch has a true passion for tennis, and has been playing the game since the age of 5. He captained his high school team to a State Title in 2000 and earned a spot on the CT All-State team. In college, Mitch competed at Western Connecticut State University and won the Little East Conference #1 Doubles Title as a freshman. After finishing his Undergraduate program with a degree in Communications, Mitch decided to make coaching tennis his full-time profession. As a PTR Certified Professional, Mitch has worked with almost every age (from 2 1/2 years to 87 years old) and ability level (beginner to advanced/high performance). He is the Head Coach of the Northwestern Regional #7 Boys Tennis Team during the spring, and the Director of Tennis at Woodridge Lake during the summer. Mitch is also a Etcheberry Certified Fitness Coach (etcheberryexperience.com). USPTA Tennis Pro Shawn Young is the new Junior Tennis Director and Full-Time Teaching Professional at Pinewoods as of August 2018. This father of three girls is new to the Torrington area and was most recently at the Binghamton Tennis Center in Binghamton , N.Y., where he taught privates and clinics, assisted with tennis camps for juniors and adults and after-school programs at various facilities. Prior to working at Binghamton Tennis Center, Shawn was an independent teaching professional for more than 20 years. A highly ranked Southwest Junior, Shawn ranked #1 in the state of Arizona as a high school senior and was offered a full ride scholarship to Alabama State University. Unfortunately, he had to turn it down for medical reasons at that time. Shawn grew up in the tennis world and has been active in the field since childhood. 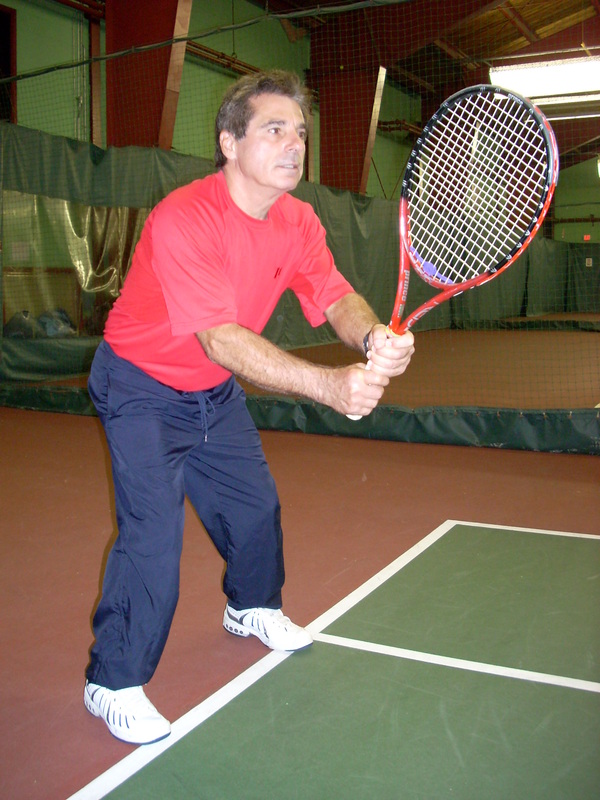 Peter is a P-1 Certified Pro through the USPTA, of which he’s been a member for over 35 years. As a player, Peter was a successful competitor, earning a top ranking in the New England Region. 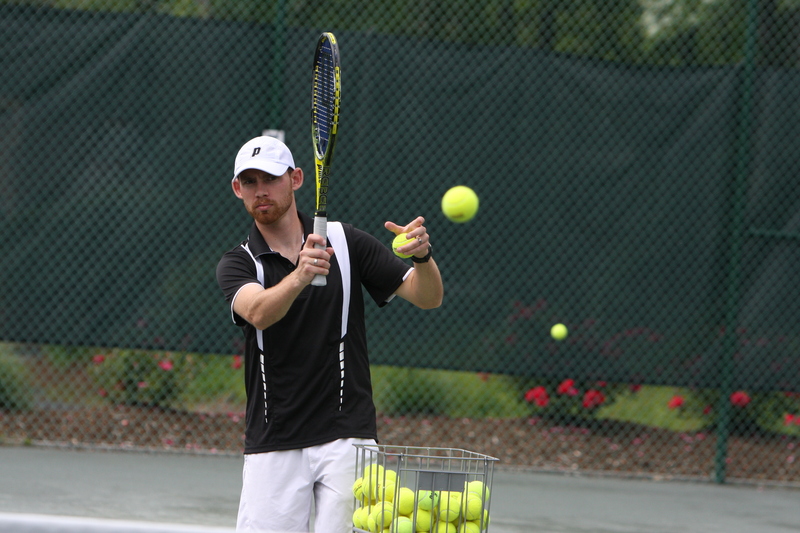 His teaching career has been outstanding, as he has been the Tennis Director at some of premiere Country Clubs in the country, including the Golf Club of Avon (18 years), and the Longmeadow Country Club (5 years). In 1992, Peter was named the Northern Professional of the Year by the New England Professional Tennis Association. Pinewoods has been lucky enough to have had Peter on staff since 1992. During the summer, he is the Tennis Director at Lakeridge in Torrington, CT.
Dean is a United States Professional Tennis Association Certified Tennis Professional and has over 30 years of tennis teaching experience. He has worked as a Head Tennis Professional at several indoor and outdoor tennis clubs in the past and has taught hundreds of juniors over the years. Dean is also currently the Head Coach for the Lewis Mills High School Girl’s Tennis Team where he complied a 28-10 record in his first two seasons . Bob is the Owner and General Manager of Pinewoods. He has been involved in the Indoor Tennis Club Business for over 30 years in positions including Staff Tennis Professional, Head Tennis Professional, Director of Tennis and Club Owner. Before buying Pinewoods in July 2009, Bob owned and operated West River Tennis and Fitness Center in Southern Vermont for 11 years. Before Vermont, he worked at clubs in Syracuse, N.Y., Cincinnati, Ohio and Washington D.C. Bob has been a United States Professional Tennis Association Member at the highest level for over 30 years. He has taught several junior tennis players to Top 50 Rankings in New England. Bob is also a proven player as he was the #1 player on his college tennis team, State University College at Oswego, New York in the 1980’s and more recently has been ranked in the Top Ten in New England in Singles in his Division every year since 2002. He achieved his highest ranking ever in 2016 as he ended the year as the #1 Ranked Player in New England in Men’s 4.5 Singles. In 2009, 2010 and 2013, Bob was ranked #2 in New England in the Men’s 45 and Over Singles Division. More recently he has matched that high ranking in 2014 and 2015 with a #2 Ranking in New England in Men’s 4.5 Singles. Bob has also been a Tennis Tournament Director for many years and created the Syracuse Adult Grand Prix Tournament Circuit in the Syracuse, New York Area in the 1990’s. The Syracuse Adult Grand Prix was a series of Tournaments held in the Syracuse, N.Y. area where Adults competed on a monthly basis to win prizes at the end of the year.